An essential component of any email based billing project is the necessity to gather and maintain an accurate, current database of your customer’s email addresses. In today’s article we will look at ‘tried and tested’, cost effective strategies to achieve this. The challenge is how to get, keep & maintain an accurate database of your customer’s email addresses. Over the past five years we have worked extensively with all of our customers on this process and would like to take this opportunity to share some of our experiences with you. Tell them why you are asking for it. Give the assurance that the email address will only be used for the purpose of commercial billing and other communication from your company. That they will have multiple ways to opt-out (unsubscribe) at any stage. That your company follows strict ‘permission marketing’ principles. That their address will NEVER be divulged or sold to any third party. It is a good practice to create a concise ‘easy to understand’ script for use by all staff gathering email addresses. Compile a strategy. Write a detailed plan on how you intend to go about getting these email addresses and keeping them current. Apply some sort of cleaning script or application to your existing database of email addresses; this will clean up obvious errors such as @yahoo.net or @hotmail.org. Then establish the cleanliness of your current email addresses by sending out a well worded plain text email advising customers of the new bill offering, what it entails, and the assurances above. 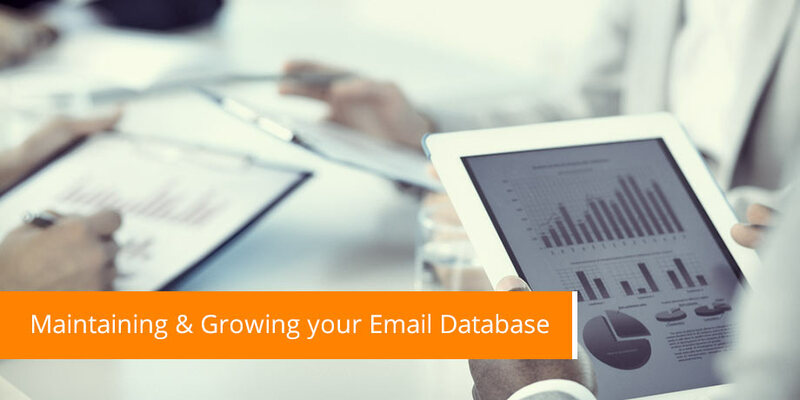 Delete all the consistently undeliverable email addresses from your database. Action the 8 live customer touch points detailed above. This will be the most effective & lowest cost method of obtaining email addresses, and will go a long way to growing your base significantly. You should be able to gather over 40% of your customer’s email addresses over a one year period, just by doing this. Create an opt-in to email communication location on your website’s homepage. Create banners throughout your site linking to this opt-in page. Bill stuffers & Bill envelope advertising: A good idea is to offer vouchers / discounts from local restaurants and other vendors in your community to customers that have supplied you with their email details. The vendors will appreciate the free advertising and the incentives will therefore not be a direct cost to you. If your community is suitable, then drop boxes & cards in convenient community locations are a great method: Supermarkets, post offices, schools etc. Combining this with a competition is an added way of increasing volume. If an email comes back undelivered, attempt to update the details as soon as possible by creating workflow to your contact center. You can initiate an automated outbound call or send a letter to the customer. The Striata Application Platform also allows for an automated wireless text message (SMS) to be delivered to the customer, requesting their updated email address. We have found this to be particularly successful and cost effective. Every undeliverable bill must also initiate a paper bill to be posted to the customer immediately. Incentivise all staff to continually update customer records with email addresses. For more information go here or contact Ashley Baptiste. Thank you for taking the time to read our Newsletter. We trust you find it of value. Do not hesitate to contact us if there is a specific topic that you would like us to cover in future issues.